17in x 39in. 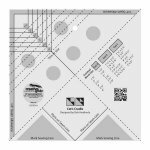 Uses Creative Grids CGRDH1. Project Time: 2-6 Hour. Fabric Type: Yardage Friendly. Project Type: Home. Adele's Tips: Fussy cut your centers for an extra pop. 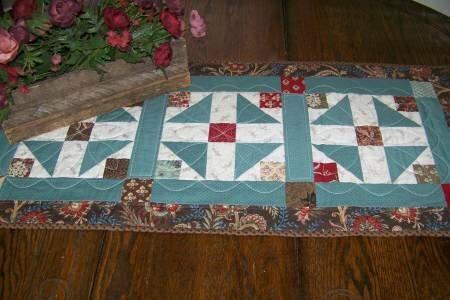 Make your sashing around the centers a different color to allow them to stand out more. Cut a few extra pieces to practice with if this is your first time using this tool. Pay attention to which side is up.